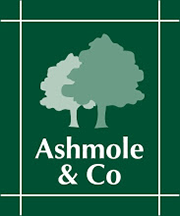 Established since 1897, Ashmole & Co now operates its' accountancy practice from twelve offices across South and West Wales including Swansea, Camarthen and Haverfordwest and has developed a wealth of expertise in a wide range of accounting and taxation matters. All our principals are members of chartered accountancy and taxation bodies and are regulated by the ACCA which ensures that high standards are maintained at all times. Our 13 principals are able to draw on experience gained over a combined period of approaching 200 years as a qualified accountant in a practising office. We pride ourselves in being friendly and approachable where all clients have guaranteed principal contact. We aim to gain a full understanding of your business which will enable us to offer best advice directly tailored to your specific needs. We strive to meet your deadlines and with 75 trained staff are able to provide up to date advice. Ashmole & Co Accountants act for a number of clients in the sectors below. As a result we have a detailed understanding of how each sector operates which enables us to provide proactive advice to clients which clearly meets their specific requirements.